Åpne Slusa will be appearing on the forthcoming third album from Norwegian Cosmic Disco pioneer Prins Thomas, titled Prins Thomas III. the album will be dropping on Full Pupp and ahead of the release Prins’ own label, Rett I Fletta, is sneaking out an EP based around the track headlined by this Lang Versjon. 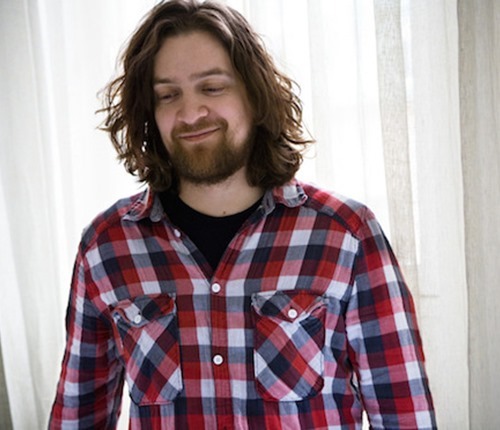 And Lang it is too; clocking in at just under ten minutes, Prins revels in the Scandinavian Disco tradition of epic synth wig-outs. Almost immediately the tune hit your with the cowbells, so you know what you;re in for. Italo led quirky Disco grooves and Sci-Fi sounds. Powering forward on an almost Acidic squelchy arpeggio the track takes it’s time to deliver it’s bass heavy galactic core, but when it does you;re already lost in it. Prins Thomas’ Åpne Slusa is out soon.